Bells rehung April 2000, now a first floor ring. Internal door leads to a short spiral staircase. Small village below the church, very popular with day visitors, having a selection of shops, tea rooms and pubs. Plenty of footpaths and canal towpaths to explore. 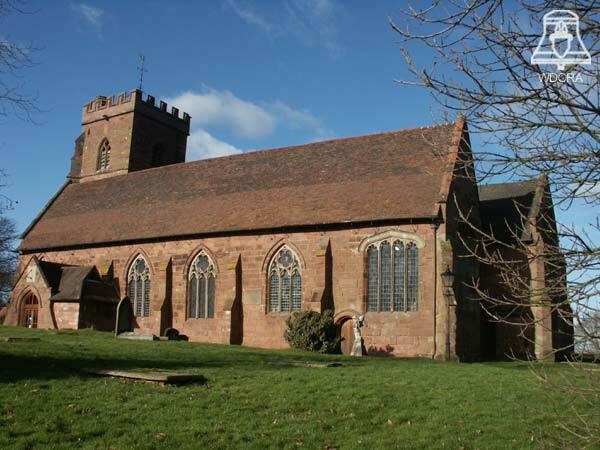 Cookley and Enville churches are within easy walking distance.